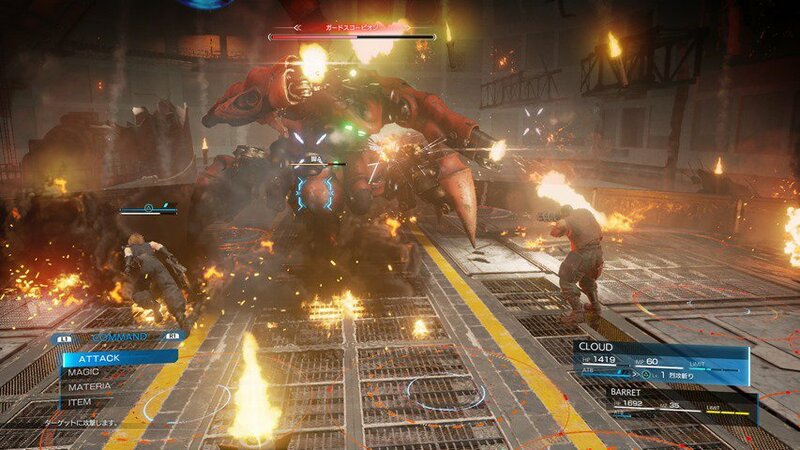 It was earlier revealed that the Final Fantasy VII Remake’s combat will indeed be action-based, and not command-based, in an interview with Tetsuya Nomura in the latest issue of Dengeki PlayStation. This was to help clear up some confusion regarding a previous on-site interview. This was likely also because of the interpretation of a screenshot with Cloud and Barret versus the giant Scorpion robot, and the ATB bar. However, Tetsuya Nomura has confirmed that this particular game will be more action-based, and even take advantage of the area around yourself. 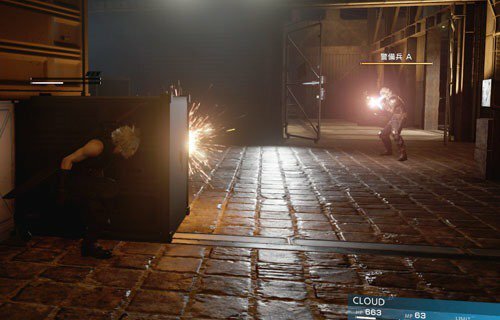 In this screenshot from MAGIC 2017, showing Cloud taking cover, Nomura explained that actions such as these were meant to show off how seamless the combat is, and the various actions you can take depending on the area. The same went for the the boss fight with the Scorpion robot was well, as there will be some destructibility in the environments. It is still unknown what the ATB bar is for however, as Nomura has not explained just what it means. Could it be a recharge time with attacks like a stamina bar? We’ll just have to wait and see for more information regarding this remake. There is also no update on the release date for the remake. What we do know is that Nomura has confirmed that they are almost done voicing everything for the main story of the game, according to the last interview held with Dengeki PlayStation. With that said, are you still excited for the game? What do you hope can be done with some of your favorite boss fights from the original? Be sure to let us know in the comments below!